I visited B&H Photo in Manhattan with a sketched diagram in my hand, hoping to find something that would allow me to attach a shelf to my tripod. When I was using the tripod only for still photography, the need was there, but minimal. When I started using the tripod for drawing and painting (with a sketch board firmly attached to the tripod head), it became clear that I needed a place for my pastels, my paints, the water, the paper towels. When I added videography, the tripod kept the camera firm and fluid, but I needed a handy place for the microphone, the iPad, the Zoom audio recorder, and other supplies. After trying to rig something on my own, and failing, I started visiting local hardware stores, and was able to cobble together a solution involving perforated steel strips and cotton twine. At best, I had devised a temporary solution. Entering B&H, my hopes were not high. Then, I spotted a large, flat piece of plastic called a Tripad. Aha! This was the solution. 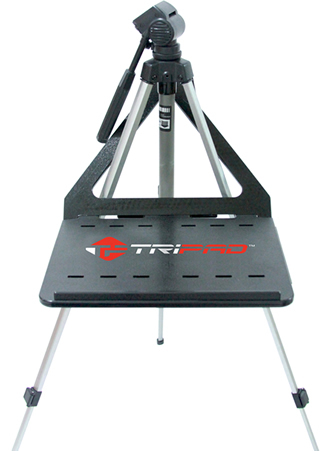 As you can see in the image, the Tripad surface extends from two of the three tripod legs. The genius part–the part that I never considered when I was doing my own (lame-o) inventing was a brace that fit over the head of the tripod and supported itself by hanging onto the far leg. B&H has lots of tripods, and I happened to find myself there around dinner time, when the busy store wasn’t too crowded. The Tripad worked: it was stable, not too large, and, quite perfect. The surface measures 15 inches wide and 11 inches deep (plus the part that connects to the tripod legs); the second triangular piece fits over the head and onto the leg. It weighs three pounds and holds eight. It comes along with me, but mostly when I travel by car; it’s little heavy and large for casual use, but durable and solid for professional applications. Here’s the video; see for yourself. The Tripad costs $99, and you can buy it here. Now, back in my inventing days, I was thinking (though never seriously) about a setup that might involve not a full shelf but a pair of arms extending, on the perpendicular, from the tripod legs. There is an artist’s tripod with this design (Mabef M27), but I could never quite figure out which search terms could be used to find such a contraption on Google. Then, I got lucky. I found the Easel Butler: Maximillian (or, for friends, Max). I liked the site immediately: the device “weights less than two bananas.” And that turns out to be true. In ounces, that’s 11.5, and in length, it’s 14 inches. There is a metal brace that slides over two easel legs. The brace has two holes: into each hole, you place a metal rod. The rods are kept in place by rubber o-rings (which you must be careful not to close, especially when working in the field). 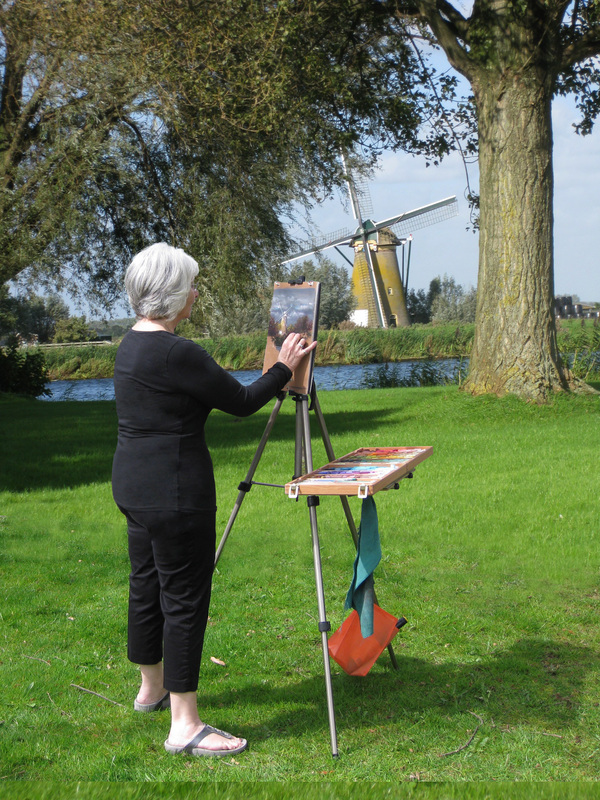 There’s a bag that attaches to the far side of the easel, a counterweight. With Max’s arms outstretched, I was able to place a full box of pastels without once worrying about an accident due to instability (clumsiness is, of course, another matter entirely). Easel Butler sets up in an about a minute, and requires about as much time to strike and put away. It comes with a nice little bag. It’s sturdy, well-thought-out, and well made. And the whole package is light enough for anyone to take along, and small enough to fit into a suitcase so it can travel with you, anywhere in the world. Want to see it in action? Watch this… Or just buy it here for $37.95. I’m happy. A month ago, I was traveling some inept path with no real understanding of how to solve a problem. Now, I have two good solutions, each well-suited to a particular creative application. Below, some additional pictures that may convince you to invest, or, at least, to think differently about the way you work when you create. 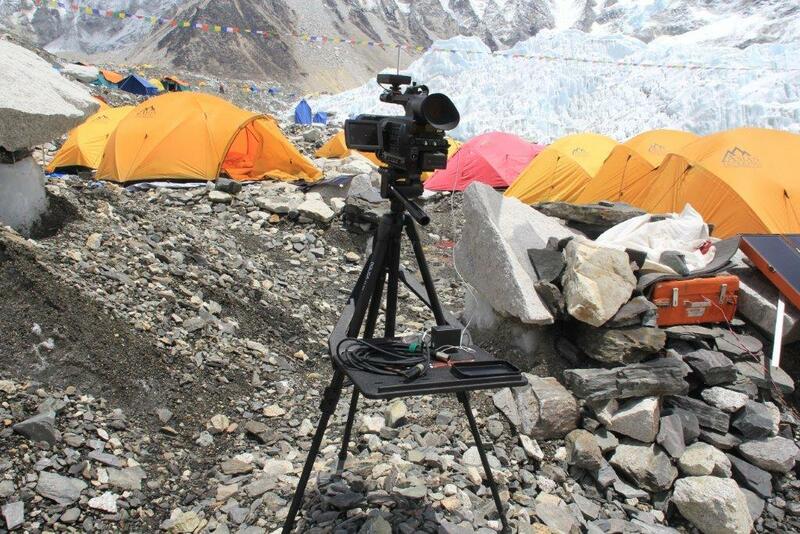 Here’s the Tripad on a trip to Mount Everest. I hadn’t considered this possibility before, but the Easel Butler allows one pair of arms to be attached to all three sides of the tripod. For a pastel artist, or a serious videographer or photographer, this is a terrific (and extremely cost effective) solution. Lightweight, too! 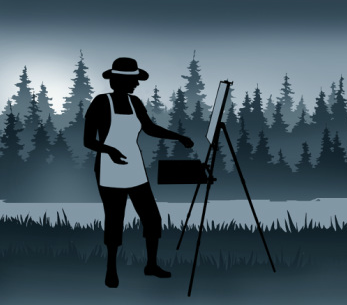 Here’s a more relaxed, in-the-field version of the Easel Butler in use. Very, very simple. 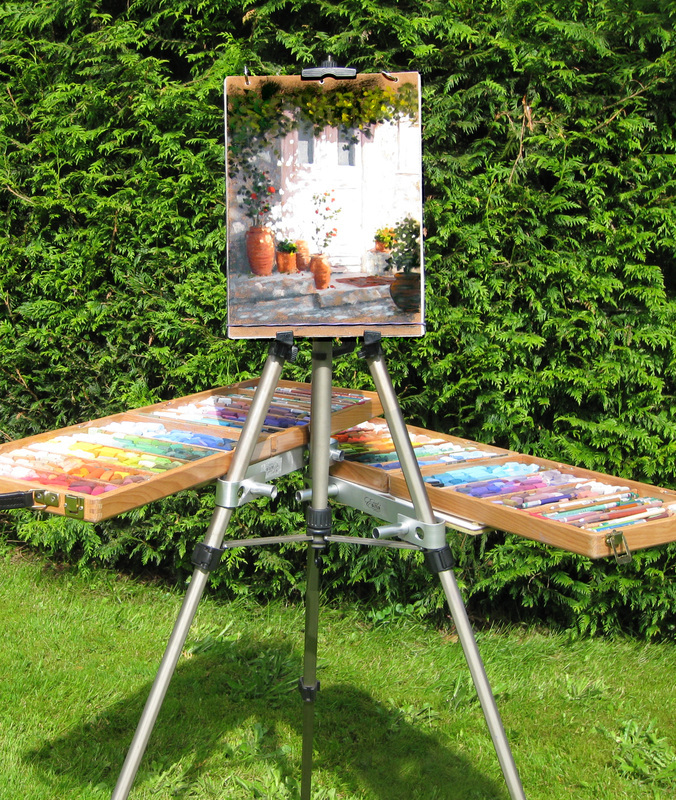 I purchased this easel butler to use last summer and love it. It’s so light and easy to set up. When you travel weight is everything and a fast setup allows you to get painting fast! Last fall I purchased ‘Max’ for a painting trip to Greece. The winds were rather strong on Hydra but, Max held his ground and kept my pastels safely in place. A worthwhile purchase at a very reasonable price.